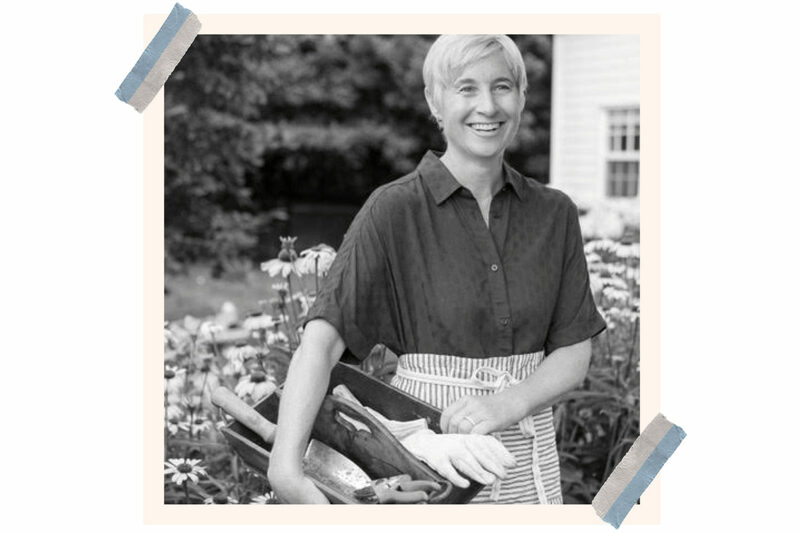 Founder and herbalist of Naturopathica spa, Barbara Close is committed to being less irritating -- to our skin that is. Full disclosure: When I first stepped into Barbara Close’s spa in East Hampton, more than 20 years ago, I thought I had landed in heaven. It was so quiet and so clean and smelled so wonderful. The facial was the gold standard for any I’ve had since…so I am a fan of Naturopathica. Calendula saved my life (well, it saved my weird chronic itching foot disease) so I have Barbara to thank for that! Barbara Close, 58, I split my time between Manhattan and Orient, on the North Fork of Long Island. It may surprise you to hear that my career started in social work—not in the spa or beauty industry. From a young age, I was interested in giving people the tools and education to live well, inspired by childhood summers with my great Aunt Eleanor outside of Paris, who was passionate about natural health and herbal medicine. To manage the stress of social work in my early career, I would often turn to a favorite healing modality—massage. Eventually, I pursued this passion and went to Santa Fe to study massage and herbal medicine. Flash forward a few years to 1995— I wanted to create a space where people could discover herbal remedies and wellness treatments for lasting health, so I opened the first Naturopathica Healing Arts Center & Spa in East Hampton, NY. Our clean, non-toxic products quickly grabbed the attention of spa leaders and influencers. In response, we began to share our products, treatments and education with the best resort and destination spas in North America. Today, Naturopathica has more than 450 spa partners, a flagship Healing Arts Center & Spa in Manhattan and a full range of skin, body and herbal remedies. As President & Founder of Naturopathica, my primary focus and passion is heading up our product innovation. I’m most inspired when I’m foraging for roots and mushrooms in the woods of Appalachia, or learning about the Skin Microbiome to create more targeted solutions. I combine my traditional knowledge as an herbalist with esthetics and green technology to develop highly efficacious, sensorial and unique products and experiences for our community. To begin, can you give us some facts: family, education? I grew up on my Grandfather’s farm in Virginia and vividly remember the myriad of scents I inhaled as I would run across the rambling farmstead: wild carrot, the aroma of dried leaves, blackberries, rose, rhubarb, and honeysuckle. I went to Williams College and studied Political Science and recently completed a Masters in Therapeutic Herbalism from the Maryland University of Integrative Health. I’ve put this education to good use as an entrepreneur. On whom did you rely when you were starting your business? Had you ever manufactured anything before then? How did you begin? I hadn’t manufactured anything before, so we started with products that were familiar to me—herbal teas, tinctures, balms and aromatherapy—and it was a small operation. Within a few weeks of opening, Martha Stewart wandered in and wanted to carry our products, so we learned to scale and rely on outside vendors, but we vet them thoroughly and make sure they adhere to our formulation philosophy and the highest of clean beauty standards. You describe yourself as having a background in herbalism. What does that mean? I’ve been studying and practicing herbal medicine for more than 30 years, which means that I’m passionate about understanding the practical uses of herbs for healing, stress and vitality. I first apprenticed an herbalist in Santa Fe and eventually traveled throughout the UK and Europe to learn from experts in aromatherapy and herbal medicine. As a practicing herbalist, I use my garden to develop teas, tinctures and topical remedies for everyday health, and I apply that knowledge to my product formulation. We also fold that knowledge into our programming at our Healing Arts Centers & Spas, creating workshops on adaptogen and nervine herbs for stress relief or DIY aromatherapy blends for mental clarity. From reading your book I’ve learned that you walk the walk and it’s reflected in your skin and your business. For those of us newbies, is it possible to be just a little bit “pregnant” with the ideals of organics? What are the most important details, where do we begin? I don’t prescribe to a purist view that you have to be 100% organic in your lifestyle, but it’s important to understand your body and how different ingredients interact with it. If you’re shopping for produce, Organic certification is a way of ensuring that you’re getting the most nutrients in your greens, and that your produce isn’t contaminated with potentially carcinogenic pesticides. If you’re shopping for skin care, look for a high percentage of nourishing and botanical ingredients like Aloe Vera, Oat Beta Glucan and seed oils that will allow your active ingredients to work safely and more effectively, without promoting sensitivity. You subscribe to the “do no harm” philosophy. We love that—so much contemporary skin care is about damaging the skin to get it to repair itself…what do you think of micro needling and acid peels and the like? As an esthetician, I do believe that stimulating cellular turnover is important for healthy and youthful skin, but you have to be very careful with controlled irritation. When your skin is exposed to an irritant, it can’t tell whether it’s responding to a bug bite or an acid peel, so the inflammatory response is the same. The body responds by sending white blood cells that ultimately break down hyaluronic acid, elastin and collagen, the primary building blocks of the skin. For this reason, limiting the frequency and extent of irritation through peels and micro needling is a better approach. Can you help us with understanding “inflammation and free radicals?’ After a certain age, is it possible to reset the skin? The earlier you start with a healthy skin care regimen, the better, but it’s never too late to start. At Naturopathica, we’re really focused on preventing chronic inflammation of the skin, which is caused by irritants in skin care and in the environment. Chronic inflammation leads to free radical damage, which leads to premature aging. To prevent this cycle, we focus on reinforcing and repairing the skin barrier with ingredients like probiotics, seed oils and SPF, which help to defend against environmental damage. We also never use known allergens or irritants in our base materials or delivery systems, so the skin can focus on looking younger and feeling healthier. Since our audience is mostly concerned with time passing so quickly—do we really have to double cleanse? Who has time for it? Definitely not—and I am never an advocate for over-cleansing. Everyone’s skin is unique, and dryer skin types only need to be cleansed once daily, to remove all makeup and buildup. If you do choose to double cleanse, make sure that you’re choosing nourishing cleansers that won’t strip the natural oils from the skin. Cleansing balms are a great option for this. On the subject of cleansing, what is the best way to remove all that 24hr eyeliner and mascara without irritating our skin? Use a cleansing balm. Oil dissolves oil, so an oil-based cleanser is the safest and gentlest way to dissolve stubborn eye makeup. Our Manuka Honey Cleansing Balm features probiotics and peptides that help to reinforce the skin barrier, while removing makeup and excess oil. After cleansing, remove the balm and gently wipe away makeup with a soft, damp washcloth or cotton 4x4s. Sunscreen—we cant live without it but the most effective ones also include chemicals. Is prevention worth the risk? I always recommend zinc-based sunscreens, like the Daily UV Defense Cream SPF 50. Zinc creates a physical barrier from UVA/UVB rays and refracts light and heat, unlike chemical sunscreens which absorb heat. Do you have one favorite or perfect herbal ingredient? Well, I’m glad you mentioned calendula and your personal experience with its healing powers. Calendula is one of my favorite herbs because of its beautiful bouquet and wound-healing abilities. I grow it in my garden and use it for home remedies throughout the year. Calendula belongs to the same healing, botanical family as Arnica and is approved in Germany and other European countries for topical use on slow-to-heal wounds, mild burns and dry skin. We feature Calendula Extract in the Calendula Essential Hydrating Cream to replenish dry skin and reinforce skin barrier, a skin-saving combination during the dry winter months.